So many people crave riches or recognition, without realising that they are richer than they think. The intense desire to ‘be rich’ or ‘get rich’ is a desperate search for so many people, often to their detriment. These are the people who are caught up in the belief that their sense of worth or confidence is deeply connected with how rich they appear or how much money they have. The point of this article is not to blame or make you feel bad or wrong. 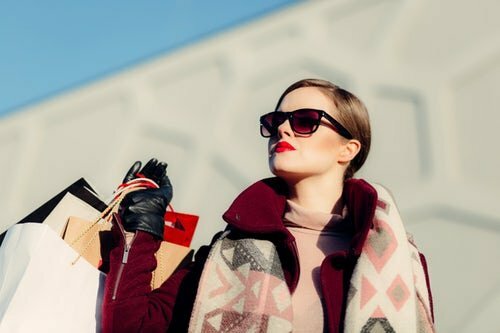 We live in a fast-paced social -media culture, which idolises ‘money’ and ‘material success’ above anything else, so its not surprising that we are money obsessed and feel that our sense of identity derives from the amount of money we have, or the type of car we drive or the designer clothes that we wear. We are bombarded with messages everywhere about people with money being ‘better than’ or somehow possessing magical qualities which makes their lives so much better than ours. If you don’t agree, just look at Facebook for example, which although originally intended to keep us connected with family and friends, has for many people become a source of loneliness, depression and anxiety, as they compare their life with all the ‘amazing’, ‘exciting’ ‘adventurous’ ‘successful’ posts from other people. When people experience a life-changing event like divorce or separation– it’s at this distressing time that our sense of self, confidence and life as we know is shaken. We are forced to either embrace this challenge or stick our heads in the sand and hope it all goes away. For those of you who are in the latter group and who deny, minimise or ignore the break-up, separation or divorce –then spend years in fear of what’s next or hoping that things will get better – you have simply forgotten that you are richer than you think! Once you accept that you are whole and complete! Once you stop making yourself or your ex wrong, and as soon as you embrace the truth there is nothing wrong with you (or anyone else) and you have nothing to fix or be ashamed off or fear- then you are ready to accept that you are richer than you think! Your richness is your ability to survive (and even thrive) whatever is causing you stress, anxiety or grief. You are far richer than your material possessions- your richness is within you and it manifests itself in the goodness of your character – and your willingness to live life with humility, compassion and forgiveness. You are rich because you have all the answers within you – you know precisely what is good for you or what will bring you peace and emotional well-being. The problem has been that you have stopped trusting yourself or listening to your intuitive wisdom. For those of you who are caught in a horror divorce or break-up, take heart – you have the answers within you to transform this adversity to your advantage. You are rich in your ability to move through this life-changing event and come out hungry to re-build and create a life of peace, joy and exuberance for you.